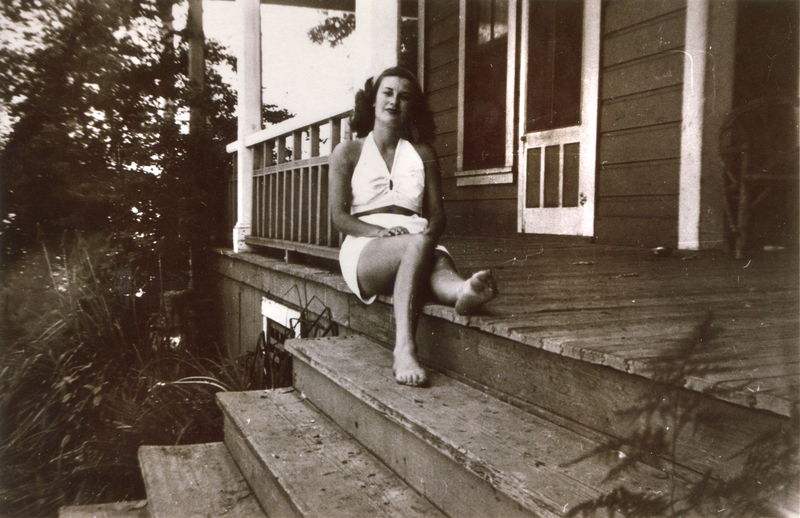 Barbara Fullstone on the porch of the Newhall Ranch House. Undated photo (probably 1950s). Identification by Gwen and Dean Gallion (2014), who say Fullstone was the stepdaughter of Bob Clark, who was The Newhall Land and Farming Co.'s ranch (farming department) foreman. At the time, the house was located at what would later become the back parking lot of the Magic Mountain amusement park in Valencia. 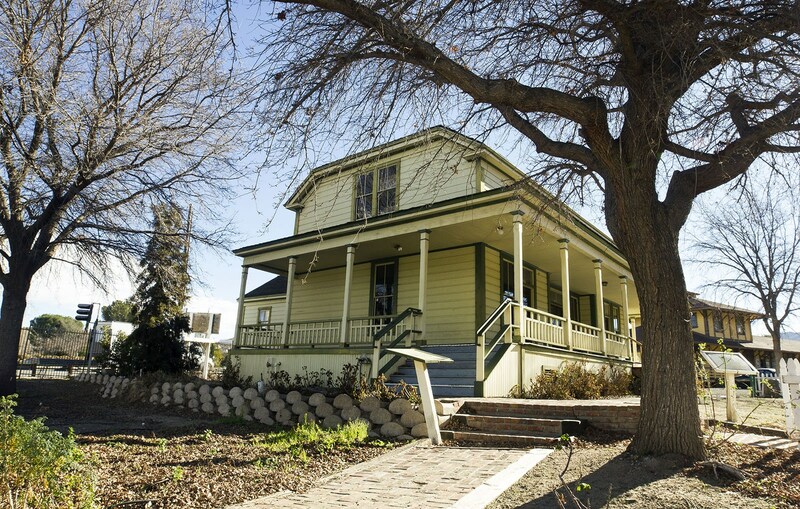 Today the house is at Heritage Junction Historic Park in Newhall.